Kevin Patton: In his book of fairytales called House of Pomegranate, Oscar Wilde once wrote, “The heart is made to be broken.” Let’s get ready for a love story. Kevin Patton: In this episode, I describe why the Golgi apparatus has such a weird shape and I share one of my favorite analogies that has to do with how muscles contract and relax. Kevin Patton: Did you ever wonder why the Golgi apparatus looks so odd compared to other membranous organelles of the cell? I mean, really? Wouldn’t you think that the forces causing other membrane bound structures to form more of a globular shape would also cause the sacs of the Golgi apparatus to be more, well, round? A number of years ago, the journal Cell, published an article that answers that question. And it revealed a really cool mechanism resulting from the primary function of the Golgi apparatus. Kevin Patton: As we know, the Golgi apparatus processes and packages proteins that arrive from the endoplasmic reticulum, or ER, by way of the ER vesicles. The central structure of the organelle is the Golgi stack, or dictyosome, which sort of resembles a stack of hollow pancakes that are kinda curved around a little bit. Golgi vesicles pinch off of the first sac, or cisterna, which is called the cis face. And then the vesicles move to the next cisterna and then the next, and finally to the final cisterna, which is called the trans face. Then a vesicle pinches off the cisterna at the trans face and moves toward the plasma membrane where it fuses and releases, or secretes, it’s content into the outside of the cell, in the process called exocytosis. Okay. So we know all that. Kevin Patton: The new data suggests that the budding of vesicles and their movement toward the plasma membrane rely on the function of a protein called G-O-L-P-H-3, or GOLPH3. This tiny protein connects special phospholipid molecules in the Golgi membrane to myosin molecules. It’s a kind of myosin called MYO18A. This myosin, in turn, is attached to F-actin filaments of the cytoskeleton. Okay. So let me go through that again so we can picture. This is hard on a podcast when you can’t draw a picture. Okay. So what I’m saying is it’s all about a protein called GOLPH3. This tiny protein connects special phospholipid molecules in the Golgi membrane. So there are the phospholipid molecules in the Golgi membrane, to myosin molecules. These myosin molecules in turn attach to the F-actin filaments of the cytoskeleton that surround Golgi apparatus. Well, you know what that means, right? Myosin and actin connecting. Yep, you guessed it. The myosin is a motor molecule that pulls the attached Golgi membrane along the F-actin filament, so it stretches out and away from the center of the Golgi apparatus, and as it stretches it takes on it’s familiar elongated shape. And then thwaap … Yes, that’s thwaap, T-H-W-A-A-P. I guess that’s how you spell it, I don’t know. Then thwaap, a vesicle pinches off and is carried away. Kevin Patton: So the short version of this story is, the Golgi membranes flatten out because they’re being pulled outward by the cytoskeleton in a process that produces the budding of vesicles. It’s as simple as that. So now when you’re describing this amazing little organelle in your A&P class, you have a new little twist to add to the story. And you probably already know, it’s named for it’s discoverer, Camillo Golgi, who first observed it in 1897. So remember that date, in case you’re ever on Jeopardy. Or maybe this date’s better. In 1898 is when he published it, and when he published it, a lot of scientists thought he was wrong. They thought that he was using this crazy Golgi staining process and it was creating an illusion of there being this organelle inside the cell. ‘Cause before then they didn’t really know about organelles. But then in the 20th century, when we start using electron microscopes, we finally proved that Golgi was right all along. Kevin Patton: By the way, here’s another little interesting bit of trivia, and maybe it’ll show up on Jeopardy, you never know, or at your next trivia night. The term Golgi complex, or it’s synonym, Golgi apparatus, are among the very few eponyms that appear in the Terminologia Histologica, or TH. You probably already know that TH is the “official” list of microscopic anatomy produced by the FIPAT, that is the Federative International Program on Anatomical Terminologies. And the TH and other official lists, they tend to replace eponyms with more descriptive terms. So yay for Golgi, his name lives on, even in the TH. Kevin Patton: In a past episode, I talked about how story telling is important in teaching in general and in teaching human anatomy and physiology in particular. And that led to a discussion about how being playful and serious at the same time really works well, and coming out of that discussion was the idea that playful analogies can be very helpful. And of course, with analogies, they’re never really 100% true to the concept that the analogy or the model is trying to represent, but they sometimes help the little gears inside our brain to connect with the reality of the concept. So, keeping that all in mind, I want to, as promised in a past episode, share with you one of the analogies, one of the little stories that I tell, and it’s kinda playful and fun, but it’s also very serious. And I’m going to do that in this episode, so now is the future. We’re now in a future episode. How does it feel to be in the future? Kevin Patton: Before I get into this story, which is a shortened version of this story, we don’t have time for a mini-series here. It’s a version that I put into a little booklet that I created a while back called The Survival Guide for Anatomy and Physiology. It’s just a handy little helper for students who are struggling in A&P, and it’s got a number of analogies in it, and this is one of them. So keep in mind it’s an abbreviated version of the story I tell, and you can imagine how it can be expanded to include some other details of the concept that I’m going to be getting into in a moment. And the concept is the process of muscle contraction and relaxation, what’s happening at the molecular level within the muscle fiber. So I often call it the muscle love story. 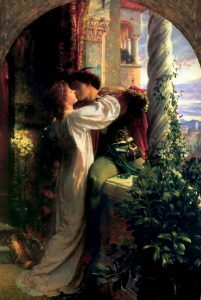 It’s more or less loosely based on the idea of Romeo and Juliet and other kinds of old classic love stories, and so it does have some traditional gender roles in it, so be forewarned because of it being built on these old classic love stories. Kevin Patton: And before I get into it, i just want to mention also that there are previous stories that I’ve told in my class that get the students ready for this. Particularly I put a big emphasis on the cytoskeleton when we are discussing the cell early in the course. I know for a long time I just kind of skipped over the cytoskeleton, but I’ve realized that it’s really an important character in many of the stories of the body, and of course science in general has been realizing that, and we’re starting to learn more and more about the cytoskeleton and how the components of the cytoskeleton and how they function, really are central to understanding a lot of the basic principles of A&P. Kevin Patton: So one of the things I do when I’m discussing the cytoskeleton is bring up the idea of motor molecules, and I even mention myosin and look at it, just a very simplified way, how motor molecules work, and tell them that there’s going to be this later story where myosin is going to be a major character and it’s going to be interacting with an actin filament, and it’s going to be doing this motor molecule thing. And that’s how muscles contract and I’ll leave the details of the story ’til later. Well, now it’s later. Here we are. Back to the future again. That’d be a good name for a movie, wouldn’t it? Back to the future. Kevin Patton: Anyway, the first thing we have to do is set the scene for this story and introduce the characters. And before I do all that and really start the story, I’ve already described for my students, the typical muscle fiber and, more importantly, the myofilaments and the sarcoplasmic reticulum, or SR, and what it does and the T-tubules and where they’re at and what their characteristics are, and all the important parts, their structures and their physical relationships to one another. So they have all that down and their heads are spinning and they’re trying to figure out what’s going on, so now’s a good time for a brain break, right? We can step away from that and play for a little bit. And so I put even more drama into my voice and start moving around a little bit more to tell this story. Kevin Patton: And so, once upon a time in the land of the muscle fiber, several interesting characters lived. Myosin is in love with the girl next door. Her name is Actin. The problem is, as it often is in these love stories, the problem is, that some of the villagers want to keep Myosin and Actin apart. Young lovers are never a likely match according to the other people around them, are they? There’s a group of women there too. Each of them is called Troponin, or Troponin if you prefer, and they constantly try to keep Myosin getting to his true love, Actin, by holding up poles made of tropomyosin. These tropomyosin poles could be easily knocked out of the way by the brave and strong Myosin, but all those Troponin girls are very strong too, and they keep the tropomyosin in it’s blocking position. Kevin Patton: Every good love story needs tension like that. Something keeping the lovers apart. In addition, there’s a good subplot. Turns out, Troponin girls are in love too. They all pine away for their true loves, all of whom are named, Calcium. The problem for them is worse than for Actin and Myosin. All of the Calciums are under guard in the SR, the sarcoplasmic reticulum. The SR, as it turns out, happens to be a sort of prison yard on the banks of the rivers which travel through the village, and those villagers call them T-tubules. Given their situation, it’s very unlikely that any of the Troponins will ever be visited by a distant Calcium imprisoned in the SR. Poor things. Kevin Patton: However, one day an odd thing happens, as it always does in these stories. A stranger, of course it’s a stranger, there’s always a stranger. A stranger called Acetylcholine is sent by the governing Nervous System. Acetylcholine, or ACh to his friends, hits the sarcolemma, which is the wall around the village, and that launches a traveling voltage fluctuation. Now you and I would call it an action potential, but the villagers think of it as a lightning strike. Well that voltage travels right along the sarcolemma. When it gets to each of the T-tubules, it travels right down the T-tubules, and thus criss-crosses the village. As it travels down each T-tubule, the voltage zaps the SR, which sure does startle the guards. The guards are so stunned that they let many of the Calciums escape and run all over the village. Oh my. Kevin Patton: The Troponins, of course, can hardly believe it. They dreamt last night that they were surrounded by Calciums, and lo, it has happened. The Calciums and the Troponins embrace. In the heat of passion, they twist around a little bit. And the Troponins completely forget about holding up the tropomyosin poles. Well, that gives Myosin the chance he and Actin have been waiting for. He moves across the barrier, and Myosin and Actin immediately start … Well, getting passionate with each other. Myosin is very exciting, just keeps Actin moving along. I’d get into sliding filaments here, but it’s a family show okay? You get the picture. We have contraction because Actin is being actively pulled along by Myosin, who is using a lot of energy. Kevin Patton: In the meantime, back at the SR, the guards have recovered, are now rounding up the Calciums and taking them back to the SR where they belong. As each Troponin tearfully bids her Calcium goodbye, she realizes that she was not paying attention to her job, and so she gets back to it. The next time Myosin is ready to cross over to Actin, he can’t. He’s again blocked by those tropomyosin poles, and they’re being held in place by the Troponins ’cause they’re back on the job, remember? Thus, the little village returns to it’s relaxed state. If you can call it that. It’s just a matter of time until it all happens again. All of the old attractions are still there and some day, Acetylcholine, or ACh as his friends call him, will ride into town and stir up another electrical storm. Kevin Patton: So that’s the end of that chapter of the story, but I keep coming back to that story as we start to add layers of information onto that. For example, I always take the opportunity of discussing muscle contraction to bring into the consciousness of my students the idea of metabolism, particularly how the myosin gets the energy. The myosin, of course, gets energy from ATP, but where does ATP get the energy? Well, the ATP … Those are like little batteries, those are recharged in the mitochondria, and so where is that energy coming from that those ATPs can be recharged, mostly in the mitochondria, not entirely, but mostly in the mitochondria? Well, ultimately, that comes from glucose. Kevin Patton: And so we can talk about that whole process and bring that into, “Well why do we need to know about metabolism? Why do we need to know about ATP? Why do we need to know how glucose breaks down and releases energy, and that’s transferred to ATP? Why in the world do I need to know about oxidative phosphorylation? I’m only going to be a nurse.” As if only is appropriate when talking about any of the health professions. The idea being like, “You’re trying to teach me too much” but now they can see that, well, it all fits into the story. There’s a lot of interaction here, there’s drama, and who can’t relate to a good dramatic story? Kevin Patton: So you might already be using some kind of a story like this, and this might give you some other ideas to maybe change up your story a little bit, or add to, or take away. You might have a different story and if so, I’d really love to hear it, and I am sure other listeners would, so call into the podcast hotline, which is 1-833-LION-DEN. That’s L-I-O-N-D-E-N. Or send it to my by email, that’s podcast@theAPProfessor.org. And I hope you all live happily ever after. Kevin Patton: For those of you who have been following me on social media or subscribe to the blog newsletter or my Nuzzle newsletter, you already know that The A&P Professor podcast is now available as an Alexa Skill. What that means is that if you’re among the rapidly growing number of folks who use Alexa to listen to music or to control your home or office or to ask Alexa questions or to tell you jokes, you can also tell Alexa to play any episode of this podcast or navigate any amount of time forward or backward in an episode, change episodes, pause and return, and more. All you have to do is tell Alexa, “Enable the AP Professor podcast” and you’re ready to roll. By the way, the invocation phrase that you need to use with Alexa does not pronounce the ampersand, that little and symbol in the podcast name. So it’s AP, not A and P. Even though Alexa will say the, “And”, it won’t often work if you say it. Don’t ask me, I don’t get why it works this way either. And don’t forget the, “Podcast” at the end. Just, “The AP Professor” by itself won’t work. You have to say, “The AP Professor Podcast”. After you say Alexa’s name, of course, or computer, or Amazon, or whichever option you use to call Alexa. Kevin Patton: Want to know more about how to enable the Alexa Skill? Maybe watch my goofy video in which I activate the Skill on the Amazon Echo in my office? Well then, go to the podcast page at TheAPProfessor.org to find the button for the Alexa Skill, or simply click the hyperlink in the show notes for this episode or on the podcast page, the episode page, in the podcast section of the website. Kevin Patton: And do stop by the Amazon page for our Skill sometime soon and rate and review the skill. Any reviews and ratings that you give the Skill, or give the podcast itself when you’re listening in a podcast app, really help me a lot. And you know how much I appreciate your support. Aileen: The A&P Professor is hosted by Kevin Patton, professor, blogger and textbook author in human anatomy and physiology. Kevin Patton: Anything I say on this podcast is not intended as a substitute for advice from someone who really knows what they’re talking about.